This entry was posted in Uncategorized on May 31, 2014 by Bayside, Glen Eira Greens. Deutsche Bank, one of the world’s biggest investment banks, ruled out funding the huge Abbot Point expansion on the Great Barrier Reef coastline. It will be so much harder for the Indian coal companies to borrow the tens of billions of dollars they need to dig up coal, dredge millions of tonnes of seabed, and ship it though our Great Barrier Reef World Heritage Area. This has been an incredible effort spanning multiple countries, numerous organisations and hundreds of thousands of people from all around the world. This entry was posted in Uncategorized on May 23, 2014 by Bayside, Glen Eira Greens. 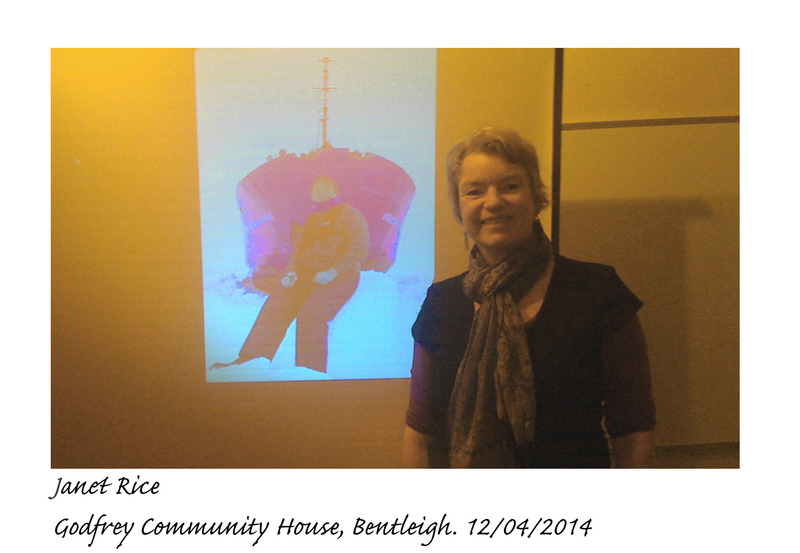 Thank You, Janet for coming along and giving us a very intimate almost like we were there with her photos and talk on her eventful way-way-downunder journey to the Antarctic. The penguins were curious and tame, many or most having never seen a human before and they never missed a chance walk on over and meet their new neighbours. Janet will be heading-off on a totally different journey to the wilds of Canberra soon (riding her bicycle to Canberra) to take her seat in the new Senate on July 1st, Janet will raise our number of Greens Senators to an amazing ten. 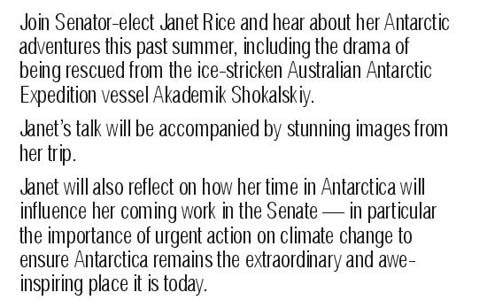 Antarctica is cold and Canberra can feel even colder so take all that warm gear we saw on the screen. The Bayside, Glen Eira Greens offer Janet all the best and so much more, as she pedals our shared hopes all the way to Parliament House. This entry was posted in Uncategorized on May 21, 2014 by Bayside, Glen Eira Greens. WHERE – State Library – 328 Swanston St, Melbourne. This entry was posted in Uncategorized on May 15, 2014 by Bayside, Glen Eira Greens. This entry was posted in Uncategorized on May 6, 2014 by Bayside, Glen Eira Greens. The Bayside, Glen Eira Greens will be responsible for the Lower House State Seats of Bentleigh, Brighton & Sandringham. We have selected Sean Mulcahy for Bentleigh & Margie Beavis for Brighton, Sandringham is still vacant. Margie & Sean will make first class candidates. Please offer your support as it’s going to be a long winter election campaign & a important election for Victorians, Education, Health, & Public transport & democracy & transparency are going to be important issues. There is a short video snap-shot of the Vic Greens Policy (below) presented by our three Greens Upper House Members, Sue Pennicuik, Colleen Hartland & Greg Barber. It will be very important that our three Upper House Members be returned. Please take the time to watch the video & post-it on your Facebook site or your other favorite Social Media site/s. We need to spread the word that the Greens are a viable alternative. And a vote for the Greens will be a vote for change. 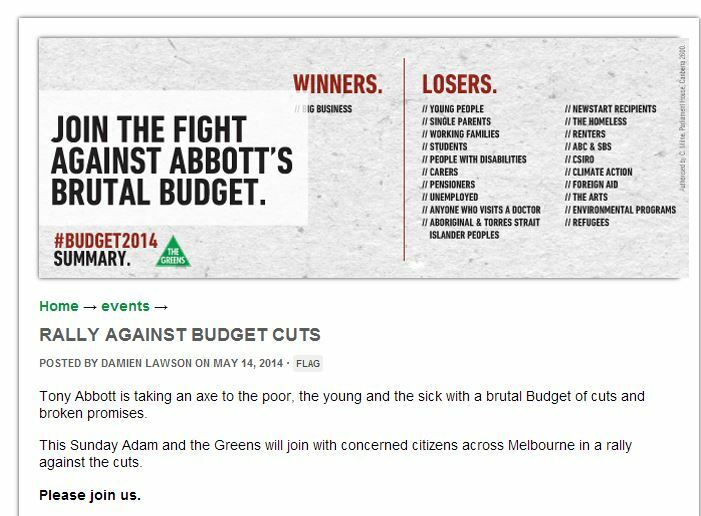 This entry was posted in Uncategorized on May 4, 2014 by Bayside, Glen Eira Greens.